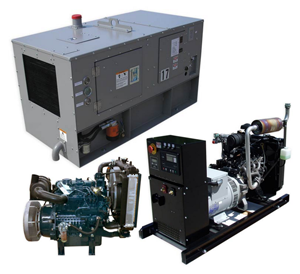 Shawnee Power Systems, Inc, established in 1988, is an innovative company that specializes in power generation and power conversion equipment for industrial, commercial and communication applications. From concept through manufacturing, our staff has decades of experience in high reliability power equipment. 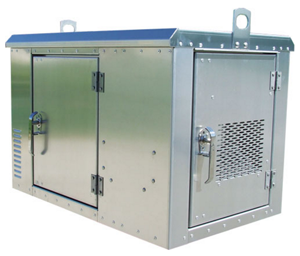 This DC generator was developed for applications in the railroad market. With the ability to monitor and charge two isolated battery systems, it is perfect for backing up crossings and control locations. The single output versions have been used in solar/wind, backup and prime power applications in the rail, oil/gas and energy sectors. The generator’s fully automatic controls monitor the attached battery system and activate the generator when they are discharged. User adjustable settings provide for flexibility to configure the starting voltage, charging voltage and charging current. 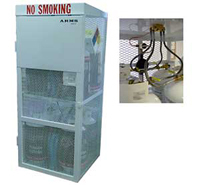 Designed by ARMS to accompany propane back-up generators in locations where propane delivery is prohibitive. The cylinders can be filled locally and be easily lifted into a hy-rail vehicle. 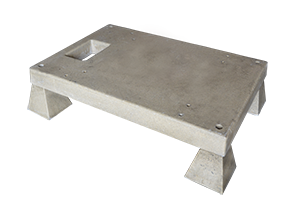 Custom foundation pad sized for the dcCharger II or Propane Cylinder Cabinet.